In Marvel movies, the J.A.R.V.I.S. system pulls data from multiple sources to assist Ironman in various tasks. Closer to home, defence engineers like Liu Lingyun, 29, are working to bring such technology to life for our defence forces. 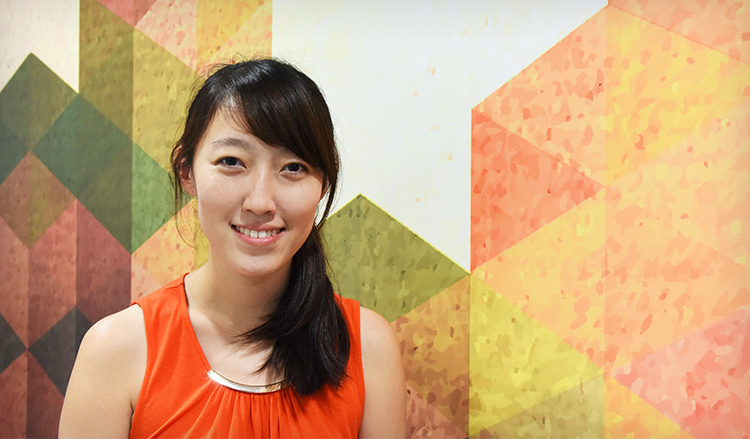 As a Development Manager at the Defence Science and Technology Agency (DSTA), she harnesses analytics and digital technology to design command and control systems for the Singapore Armed Forces (SAF). These systems integrate and extract valuable insights from vast amounts of complex information, so that military commanders can make swift and effective decisions. Much like the systems she develops, her DSTA Scholarship journey has helped to simplify complex decisions and steered her towards a fulfilling career. “After visiting the DSTA Scholarship booth at a career fair, I was intrigued by the contributions that engineers make to Singapore’s security and defence and decided to pursue a career in defence technology,” she explained. Under the scholarship, she studied electrical and computer engineering at Cornell University, and completed a Master’s in Management Science and Engineering at Stanford University. To broaden her non-academic competencies, she interned at DSTA, where she experimented with fuel cell systems as an alternative power source for military IT equipment. She also gained business consulting experience at a shipping firm while completing her master’s degree. After her studies, she began her career in 2011 as an engineer in DSTA’s Building and Infrastructure Programme Centre, designing power and electrical systems for SAF camps. She was also part of a DSTA team that enhanced and ensured a safe and reliable power supply for the 2012 National Day Parade sound and lighting systems. “It was really eye-opening to work with various committees and agencies on a large-scale national event like the NDP. I was proud that we helped the performers put on a well-executed show that Singaporeans can look forward to each year,” she said. A year later, Lingyun took up an opportunity to rotate within DSTA to the C4I Development Programme Centre, where she designed sense making systems that process data shared between government agencies and the SAF. These include systems that enable maritime agencies to profile and detect potential threats in advance; and help the Republic of Singapore Air Force (RSAF) commanders evaluate possible courses-of-action to optimize mission effectiveness. Now, she works on a cross-agency crisis information management system that leverages data analytics to help the Singapore Army and Home Team in their joint counter-terrorism efforts. “In the course of my defence engineering career, I’ve been exposed to a diverse range of projects which have deepened my knowledge and skills across engineering domains. This culture of learning and innovation is encouraged at DSTA, and my colleagues and SAF partners are very open to sharing knowledge and experiences as well. It is rewarding to see our projects put into actual use, and to know that we have helped empower the SAF to be more capable,” she said. Looking forward, her advice for budding engineers would be to stay innovative and resourceful. “Engineering problems of the future will be more complex and cross-domain. It is always good to look for inspiration and solutions outside of your field of expertise,” she reflected. Darren Lee ventures the dynamic business and trade ecosystems internationally with IE Singapore.